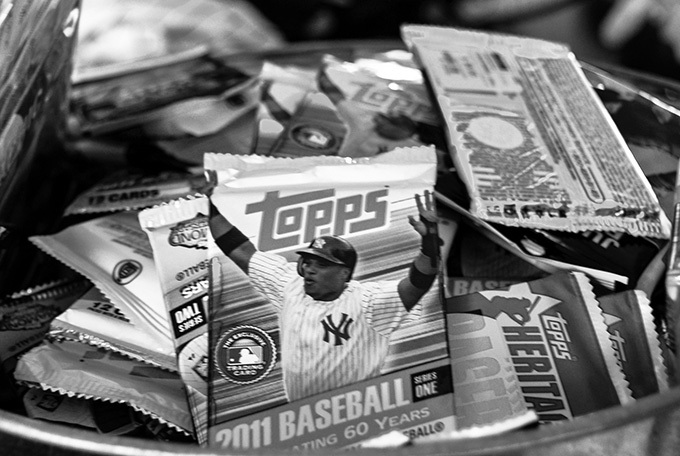 Sports card collecting is still an active hobby for many people. You can tell because every so often, a card sells for a record amount and makes the news. But who are these mysterious collectors? Is it old men who buy vintage baseball cards? Is it young fans who buy hockey cards? One thing is certain: the demographic of the hobby has changed. 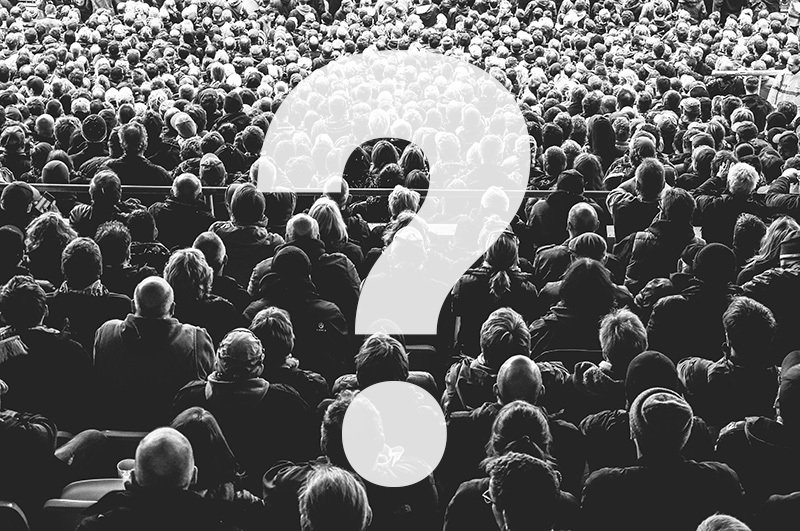 It’s true that the audience is skewed to an older crowd today, which is the opposite of what you might have expected. After all, baseball card collecting has a history of being a young boy’s hobby. Remember when cards made bicycle wheels sound impressive? Those same kids are now older guys with a new respect for their hobby. And they buy vintage baseball cards. Let’s take a look at the hobby in a historical context. By the 1970s, the card companies had a good thing going, even as their products were substandard photos on perishable cardboard stained by cheap bubblegum. Then came the 1980s’ explosion that paired great advances in quality and design with a glut of production. For a while, the card companies had the best of both worlds: huge production runs and an eager public ready to buy hockey cards, baseball cards — anything they produced, really. Then reality sunk in. Rookie cards that used to gain in value — mainly because most card collections didn’t last past puberty — sank like a nickel tossed into a fountain. With the newfound interest in investing, not just collecting, more sports cards stayed in pristine plastic cardholders. Coupled with incredibly high production rates, the glut meant that all the cards lost value because even desirable rookie cards became commonplace. So the public still interested in buying and collecting sports cards tried other tactics. When baseball cards lost value, they decided to buy hockey cards, football cards and basketball cards. But they too proved to be poor investments, even as those sports gained popularity and the card quality increased. Then, like real commodities brokers, they turned to the one place where value remained high. They found the niche where the love of the sport matched the urge to collect. They found the sweet spot where collecting again became investing. 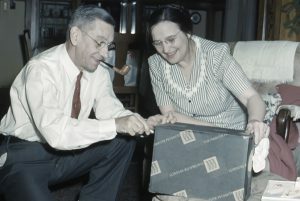 Their new strategy was to buy vintage baseball cards. Vintage cards hold or increase their value. They’re rare, so collecting has again become a fascinating hobby, rife with strategy, tactics and bargaining. But the price points are higher, which precludes young boys from really participating. Furthermore, as the sport of baseball declines in popularity, it leaves fewer people to buy vintage baseball cards. It leaves the hobby to old guys. Specifically, it’s now old guys with money who rule the hobby. That’s of course a generalization — others buy hockey cards, baseball cards and cards from other sports, but when it comes to the rare gems like a Mickey Mantle rookie card or a Bobby Orr rookie card, it’s the older generation that collects them. The bottom line is that the trading cards collector’s market will never be as red-hot as it was in the 1980s. The card companies don’t seem inclined to slow their production, although the introduction of rare inserts has helped drive sales. But whether you buy vintage baseball cards as an investment or buy hockey cards for fun, the hobby will continue. 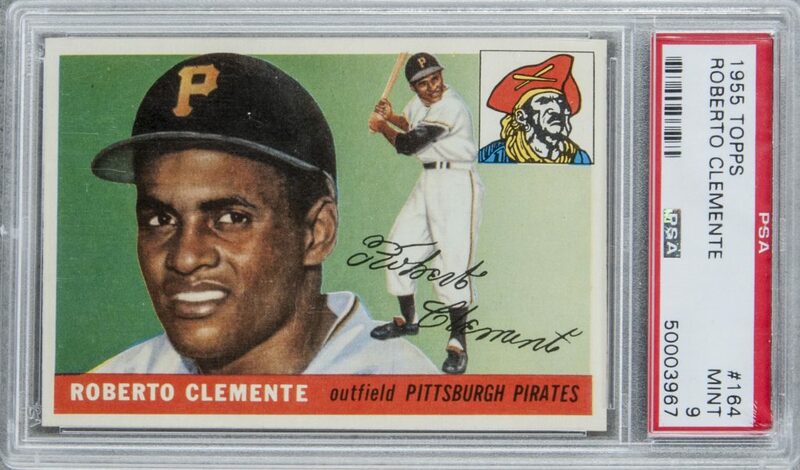 While older guys bemoan the lack of interest in sports card collecting in the younger generation, someone always comes along to set a new record price for that Honus Wagner or that Mickey Mantle. Is sports card collecting still a solid investment? It’s in the cards. When you sell baseball cards, it’s not as simple as putting an ad on Craigslist, especially if you want to get top dollar. The same is true when you want to sell football cards, basketball cards or hockey cards. Sports cards are collectables, so you need to find interested buyers. Selling sports cards often means going to a reputable dealer who can assess the value of your cards. Unless you’re trying to dupe an unsuspecting buyer — something the people at Goldin Auctions never do or approve of — then you need to sell valuable cards to honest collectors. That’s often a dealer who has access to serious collectors. If you’re relying on print research, you should realize that the magazine is out-of-date the day after it’s released. Take the listings with a grain of salt. Also, you’ll rarely get the selling price that’s listed for the card. Most prices are for mint condition cards, and card stores — even those online — often pay a lot less than the going rate. If you really want to sell baseball cards, find the best offer and take it. So, for example, a Pete Rose card may be worth more than a Willie Wilson card. A mint condition card may be worth more than a ripped card. A 1967 Carl Yastrzemski card may be worth more than a 1982 Carl Yastrzemski card. A 1951 Bowman card may be worth more than a 1951 Topps. The newer the card you’re selling, the less likely it will bring a big return. If you sell football cards or baseball cards made after 1980, they likely have very little (if any) value. These cards were produced in such massive quantities that their value has plummeted. This mass production was good for the card companies in the short run, and it led directly to the introduction of the special inserts — rare cards placed in mass-produced packs to generate interest and value. So unless you were lucky enough to open a pack that contained a hand-signed rookie insert card for a player who went on to accomplish great things, then your cards have value only to you. 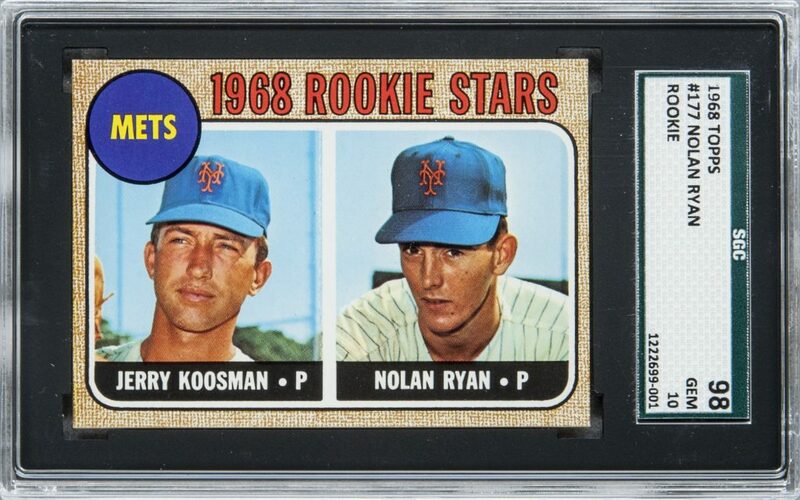 Of the 30 most valuable baseball cards in the world, 29 were produced in 1970 or earlier. Most of you probably started your card collection after that. Whether you sell baseball cards, sell football cards or sell other sports cards, the value is set by objective criteria, not nostalgia. Unfortunately. Post-war baseball cards are consistently good investments with a wide variety of them available. The players were amazing, and the cards were vibrant. Love of the game hit new highs. There is a unique nostalgia specific to the time. World War II had forced a slow-down in baseball because many players, as well as their money-spending fans, went off to war, their dreams filled with the pop of a gun instead of crack of a bat. “Home” meant something different. 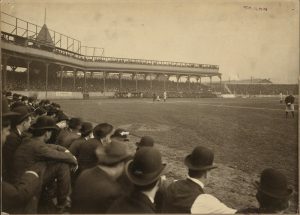 Afterward, as the dust settled and the veterans returned, baseball’s popularity surged to a whole new level. The time brought home some baseball and wartime heroes, like Hank Greenberg and Ted Williams, and over the next few years introduced some new legends-in-the-making to the major league. Mickey Mantle. Jackie Robinson. Roberto Clemente. Hank Aaron. We recovered from the toll of war from the seats of stadiums while witnessing history being in several different ways. Records. Equality. Industry. Maybe that’s a romantic way to think about it, but what is baseball if not a romantic part of American history? The cards are the tangible remnants of that time. The new baseball cards were colorful, popular, and easily obtained. 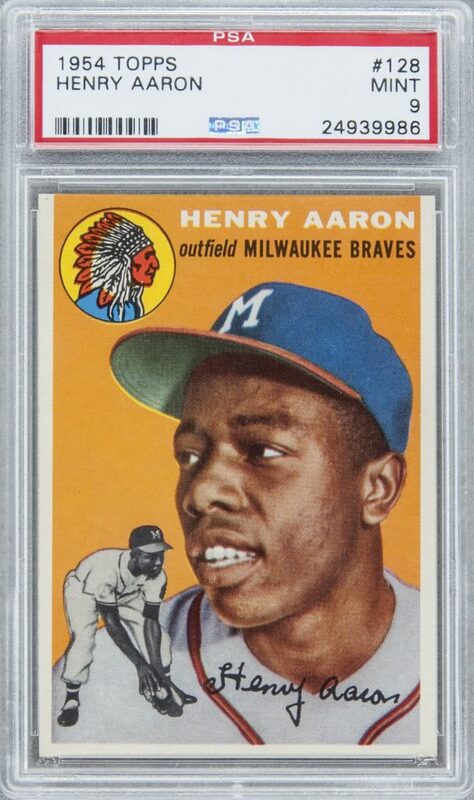 But there aren’t many truly remarkable high-grade cards still available to collectors today, and the ones that sell, sell fast and sell high. 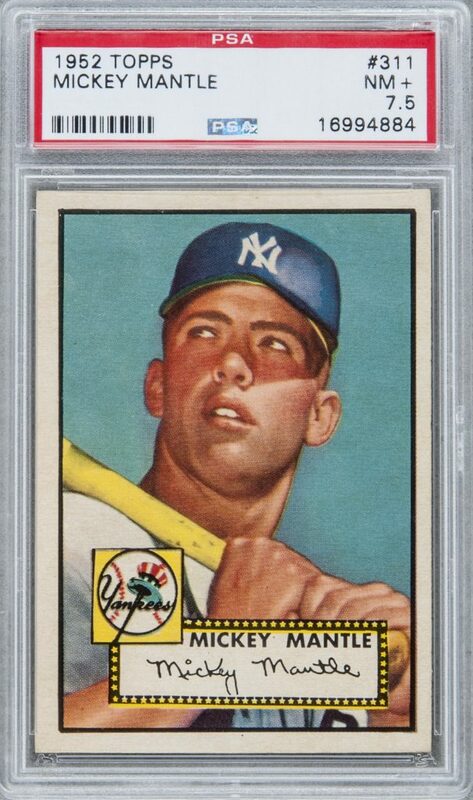 We’re proud to include in our Inaugural Great American Trading Card Auction some gorgeous post-war baseball cards that are sure to have a Pavlovian effect on any serious collector. It’s okay. Happens to all of us. This is most recognizable baseball card in history. PSA has graded more than 1375 of these, and only 44 graded higher. The Hall of Famer was the first Hispanic player in the Majors and a remarkably versatile talent. PSA has graded more than 4,075 of these and only one has graded better! The “Home Run King”. Of nearly 4,000 copies graded by PSA, only two graded higher. This card is beautiful. “The Duke of Flatbush” presented in a state of perfection. The ONLY GEM MT 10. Graded 98 GEM 10 by SGC. Hall of Famer, in his debut appearance. This is one of just two examples at its tier among a total of more than 1,400 copies recorded in SGC’s census reporting. Hall of Famer, and a scarcer “High Number” entry. Among more than 1,600 copies recorded in PSA’s census reporting, just ten examples have been graded higher. Check out the rest the cards in the Inaugural Great American Trading Card Auction for even more great post-war era baseball cards. T206 Honus Wagner. The card of all baseball cards. The Holy Grail of sports collectibles. 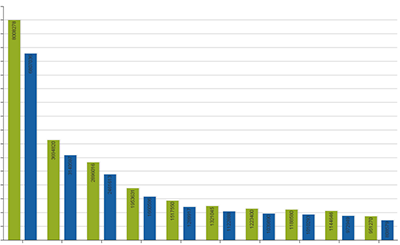 The top rung of an industry ladder that keeps climbing and climbing. Goldin Auctions is proud to once again offer a T206 Wagner, and this flawless beauty is sure to set records…again. The 1909-1911 T206 White Border Honus Wagner, the “Jumbo” Wagner, is the example to which all other collectibles in the industry are compared. Even collectibles outside the sports auction industry are compared to this. It’s more than ultra-rare, more than old, more than perfect – it’s famous. Even those who have never bought a baseball card in their lives have heard of the T206 Wagner. Why Is It the Crown Jewel? For starters, best estimates are that less than 200 of these cards were ever made, and less than 50 have ever been presented for grading or authentication. Of the few that are known to still exist, they aren’t all identical either. It’s THE “Jumbo” meaning its substantial borders make it larger than is typical, and thus more scarce. Of the T206 Wagners in the world, this particular one is possibly the most flawless example. It’s unaltered. It’s graded EX 5 (MC) by PSA. And it’s traceable to its original owner. In 2000, a T206 graded PSA 2 sold for $75,000. In 2005, another PSA 2 T206 sold for $237,000. 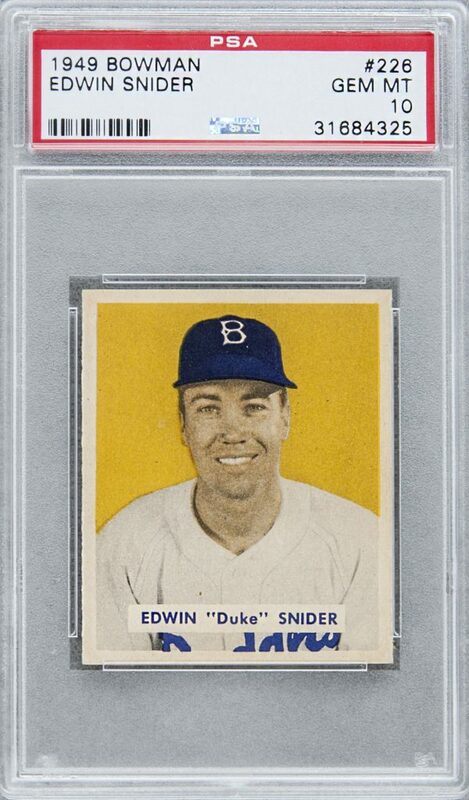 In 2008, a graded 1 card sold for $317,250, and an SGC 3 sold for a high bid of $700,000. In 2012, a VG-3 card sold to an anonymous buyer for $1.6 million. Then in 2013, we had the pleasure of breaking the record with the T206 “Jumbo” Honus Wagner graded EX 5 (MC) by PSA for a whopping $2,105,770.50. It could be many years before we see a high-grade T206 hit the auction block again, so this is not to be missed. This gem from the past will continue making more history in the Inaugural Great American Trading Card Auction. It’s likely that this card will break the current record that it set in 2013. Bidding begins September 12, 2016 and closes October 1. The National Sports Collectors Convention was huge for 2016, and it stands as proof that the industry is in great shape. The big take away, though, is that while collectors expect that vintage items, especially the ones that have impressed us before, will always do well, one of the great indicators of how healthy the market is when we see newer items come to the table and sell for well above estimates. Case in point, the Wayne Gretzky 1979-80 O-Pee-Chee rookie card. His TRUE rookie card. It’s not that a Gretzky rookie card hasn’t been a familiar sighting for sports collectors. It’s that this one is PERFECT. This is the only known Gem Mint 10, making it more than just rare. 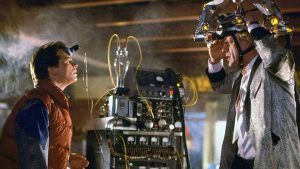 It’s not like there weren’t plenty of these in production, and we also haven’t had decades upon decades for them to bear the marks of time – assuming time doesn’t just swallow some cards whole. This is a modern card. “Modern” and “rare” aren’t often adjectives that are paired together. At The National, the perfect Gretzky rookie card sold for $465,000. That’s about five times the previous record. This is huge for the sports memorabilia industry and for hockey. Another example that we took to NSCC: Michael Jordan’s 1997-98 playoff game-used and signed home jersey. It was worn May 3,1998 during Michael Jordan’s final season playing for the Chicago Bulls. This is the only MeiGray Group photo-matched playoff Jordan jersey to come up for sale, and while it was surely going to bring in a great price, estimated at about $100,000, at The National, it sold for $171,500. Modern history is making a statement. We all expect to see great and consistent numbers from proven vintage items, even Joe Frazier’s jock strap because, hey, it’s Joe Frazier! When vintage collectibles do surprise collectors, it’s usually in a good way (like the 1953 Topps Sandy Koufax rookie card). When modern collectibles exceed even the expectations of experts, it’s great confirmation that sports memorabilia as an investment, an industry, is going strong. It’s thriving. Maybe we’re sentimental, but it seems like the desire to own a slice of history is something incredibly human. To capture time and invest in something with great promise at the same time. How else can you possess the past and the future at the same time? Protecting your sports card investment is more than just “important”. It’s probably just as critical as the purchase of the card itself. What good is a valuable item if its condition deteriorates? 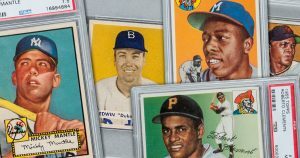 Baseball cards from decades ago or football cards from last week – they all need to be treated with a little more respect than tossing them in a shoebox in the attic. We’re not saying that if you find a Christy Mathewson card tossed into a cardboard box in your grandpa’s attic that you shouldn’t immediately plan a celebration party and book your next vacation. We’re just saying that you might need to skip the Cristal and keep your trip within driving distance. 1. “Let There Be Light” Correction. Let There Be NO Light. Sunlight, specifically UV light, will be the death of them. If you’ve got a mint 1939 Play Ball Joe DiMaggio, don’t display it in a case on your coffee table or have it framed to hang on the wall near your bay window so you and your friends can gaze at it in admiration. Joe will be behind the glass hissing like a vampire munching on garlic bread at a sunny picnic. UV light causes irreversible damage cumulatively, leading to bleaching and even more brittle cards over time. Sunlight is the strongest source of UV light, and while direct sunlight is the worst, even ambient sunlight can cause damage. It is possible to take a note from fine art galleries and museums and make sure than anything displayed in a frame is behind conservation glass. That should filter out about 98% of UV rays. Still, though, UV rays and possible heat exposure will have some effect over time on the condition of sports cards, so continue be selective with placement. Avoid being near windows. Artificial light, like from incandescent lights in your home, produce very small amounts of UV light but no where near as much as the sun. Just be mindful of it for particularly valuable cards. Be safe, and always keep your cards in a protective sleeve or case. There are lots of different options on the market starting with “penny sleeves” that actually don’t even cost a whole penny. These are thin plastic sleeves that your sports cards should slide snuggly into. They provide some protection against scuffs and scratches, but not bends. The next step up is top-loaders. These are heavier sleeves that you slide the card into that offer increased protection, but again, cards can be bent. Often, people will put the card inside a penny sleeve, then inside a top-loader. The key thing to look for with both of these sleeves is that you only use ones that are acid-free to prevent them causing breakdown of the ink or discoloration of the paper over time. From there, for stability can you step up to some substantial protection for your investment by placing each card in a sturdy one-screw, four-screw, or magnetic holder. The catch here is that some collectors have had their cards damaged by these because of the pressured contact on the cards themselves over a long period of time. If you choose to go with these, be sure to not tighten the screws too much. Again, to reference fine art tactics, think of storing your most valuable sports cards in a way that doesn’t allow much contact with the card to prevent either discoloring or pressure-related dents or ink damage. Fine art is matted for this reason, and there are a few card case options on the market that follow the idea by holding cards securely by their corners or edges inside a sturdy case. For example, SGC is a grading company that also sells their own “museum quality” cases for this purpose. Whether you’ve got a shoebox of penny-sleeved, low value cards or something that rivals the value of your first-born (kidding, kidding), consider the location of where you store your sports cards. Heat, light, and humidity are the enemies. Attics and damp basements are your worst bets. Garages aren’t good either. Sturdy storage in a closet or cabinet is great because it will control light exposure in a temperature control, low-humidity environment. And by all means, keep your valuable sports and baseball cards away from young children. Michael Jordan collectibles hitting the auction block shouldn’t be missed by any serious sports collector. He is one of the most famous athletes of all time and easily the most famous in basketball. It’s harder than it used to be to find Michael Jordan autographed, game-worn jerseys and shoes, so when they come along, you have to sit up and pay attention. Don’t miss the collection of autographed Michael Jordan memorabilia in the Goldin Auctions 2016 Summer Premier Auction. Preview opens July 8th! Michael Jordan’s career started with his extremely impressive college years playing for the UNC Tar Heels in the ACC from 1981-1984. It was obvious even then that he was something rare. Something special. His NBA career rocketed him to superstardom, earning him numerous awards including five NBA MVP awards, six NBA championships, and even two Olympic gold medals. The record book needed constant amending. His game still echoes in the praises of other significant players. “There’s Michael Jordan and then there is the rest of us,” said Magic Johnson. His stats are impressive to this day, but he was also known for his style. Michael Jordan didn’t just get the job done and then some. He did it with flair. He balanced a grace of movement with a face of determination, tongue hanging out, that was made for the cameras. He put on a good show. This also made him a marketing darling for endorsement deals. So in addition to collectible cards, #23 jerseys, autographed basketballs, and the like, collectors want game-worn Nike Air Jordans. For Michael Jordan collectibles, there is a wide variety of items available ranging from his NCAA years to his time in the NBA, and even time since then. The basketball star spent some time playing baseball and golf, too, so autographed baseball bats and golf clubs are special as well. This all makes him a great athlete for both the beginning collector and the veteran. Value of items ranges greatly depending on rarity and condition. The 2016 Goldin Auctions Summer Premium Live Auction is proud to have a treasure trove of Jordan items, and starting July 8, they can be previewed before the August 4 auction. Our items include a 1997-98 Michael Jordan playoff game-used and signed Chicago Bulls home jersey worn on May 3, 1998, 1997 game-used Nike sneakers, and even a Michael Jordan hand-written love poem bearing one of the earliest known Jordan signatures complete with a certificate of authenticity from James Spence Authentication. Mickey Mantle! To this day, few names in all of sports have gone down in history as undisputed legend like his. The Mickey Mantle auction items in the 2016 Summer Premium Live Auction, which can be previewed starting July 8, make up a truly impressive collection. This is one for the history books, too. Hall of Famer Mickey Mantle (1931-1995) is baseball royalty. He is still widely considered to be the best switch-hitter of all time and earned a long list of championships, awards, and broke many records. He played his entire Major League Baseball career for the New York Yankees, from 1951-1968. He won baseball’s Triple Crown in 1956 and had 536 career home runs, not to mention his impressive center field record. He was an All Star for 16 seasons, played in 12 World Series, and won seven World Series Championships. Mantle hit some of the longest home runs in the history of MLB…and he could do so right or left-handed. He most often batted left-handed since there are more right-handed pitchers in baseball, but he was known to actually prefer batting right-handed, saying that he felt stronger with his right hand. He even used a heavier bat when batting with his right. Mickey Mantle’s career was such that even now, his is a household name. He was inducted into the National Baseball Hall of Fame in 1974. For any collector, Mickey Mantle items are must-have. His career and achievements were so great that there are a wide variety of items available ranging from figurines and telegrams to rare baseball cards and autographed baseballs. 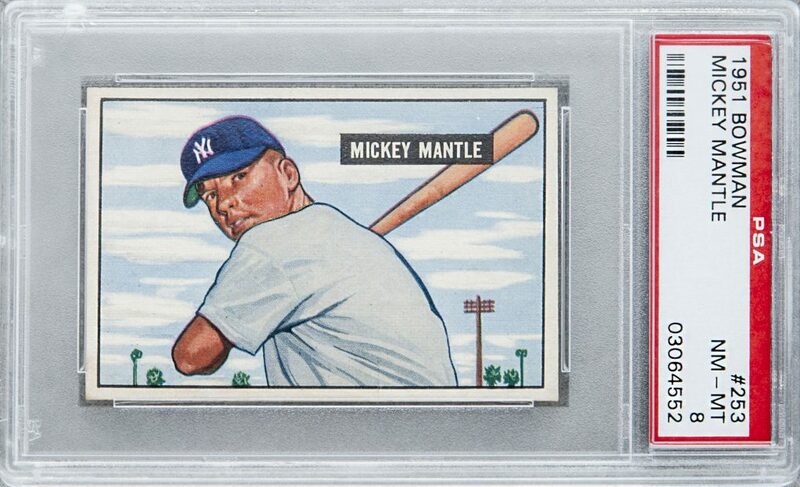 Values vary greatly depending on rarity and condition, so any level of collector can own a slice of Mickey Mantle history. His 1951 Bowman rookie card is still hugely popular as is any item from that year featuring him with the legendary Joe DiMaggio. Mantle’s rookie year with the Yankees was DiMaggio’s final year, whom he replaced in center field upon DiMaggio’s retirement. His 1952 Topps card is a crown jewel in any collection. Possibly the most recognizable card in all of baseball, these are highly coveted. They are difficult to find in NM+ or better condition, so an opportunity to own one can’t be overstated. Goldin Auctions will have one in the coming summer auction, along with “The Mick’s” 1955 Yankees American League Championship ring, and so much more. The 2016 Summer Premium Live Auction preview begins July 8, with the live auction being held August 4, 2016.